Thursday, April 11, 2019 – History doesn’t change, but our understanding of it does. That can be from new discoveries, or methods of teaching. 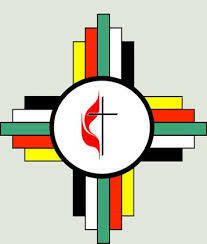 Amanda Vivier is the spiritual director for Native American Christian Ministries. She went through a training program the helps people reconcile the tragic truths of oppression. She helped present the information, detailing waves of colonization at NDSU in early April for American Indian Public Health Day. The presentation is called Understanding Indigenous History and Colonization. ~~~ NDSU Tom Isern shares a Plains Folk column titled, “Lesson from the Land.” ~~~ Sue Balcom is back for another episode of Main Street Eats. Today she shares some foodie thoughts for Easter. ~~~ Doug and Ashley have our What’s Happening calendar of events.